Here's another round of throwback Thursday. Winters in central Illinois are so unpredictable that Abby and I were not sure if mother nature would cooperate and provide us with a winter wonderland. 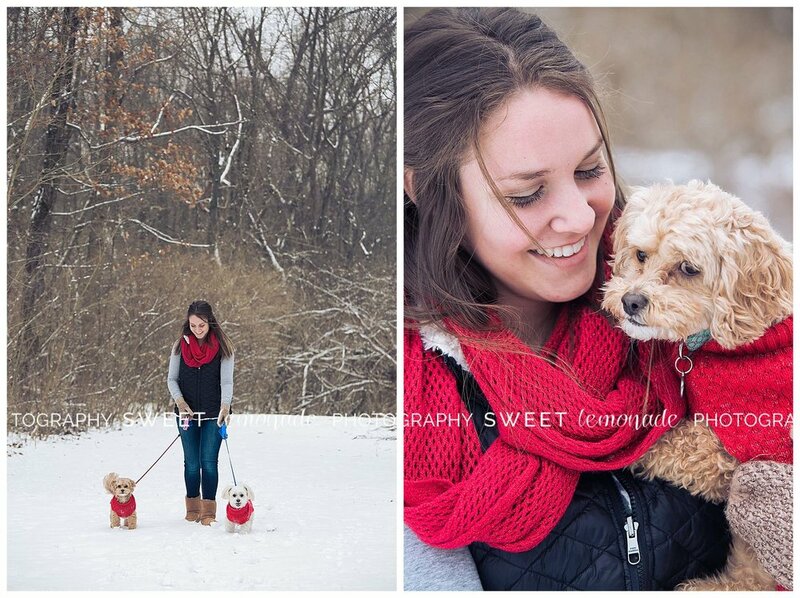 It's already been two years since Abby's senior session in the snow at Lake of the Woods in Mahomet, IL. 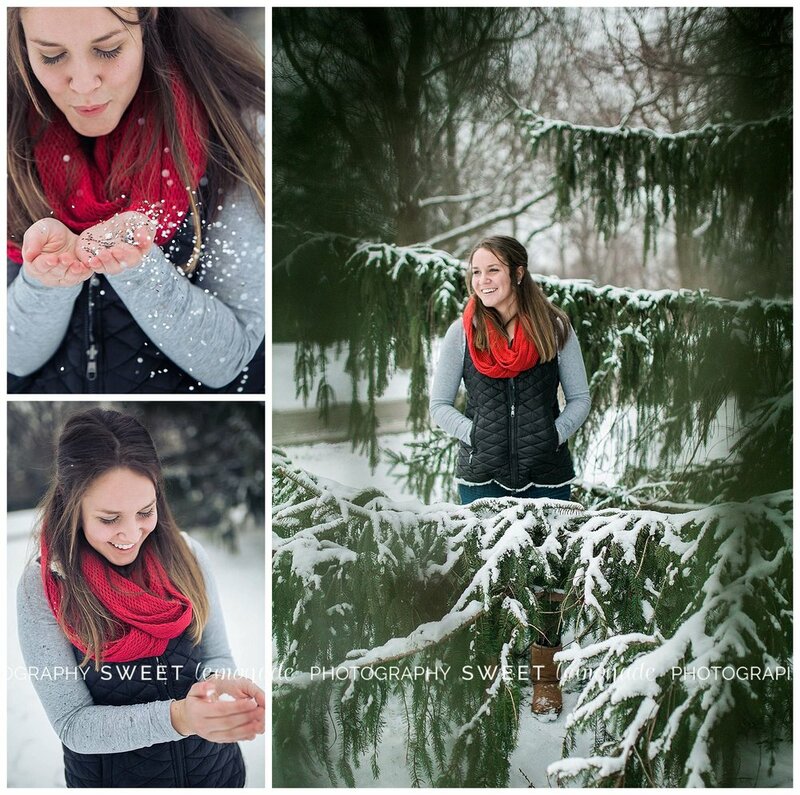 Abby, a St.Joseph-Ogden High school graduate, anxiously waited for snow to fall for her second senior session. And when we saw the white snowflakes fall we quickly made plans to meet at the park. Sessions in the winter can be really short due to people and cameras not handling cold temperatures well for long periods of time. But they sure are a lot of fun and I love the crisp, clean look snow provides. 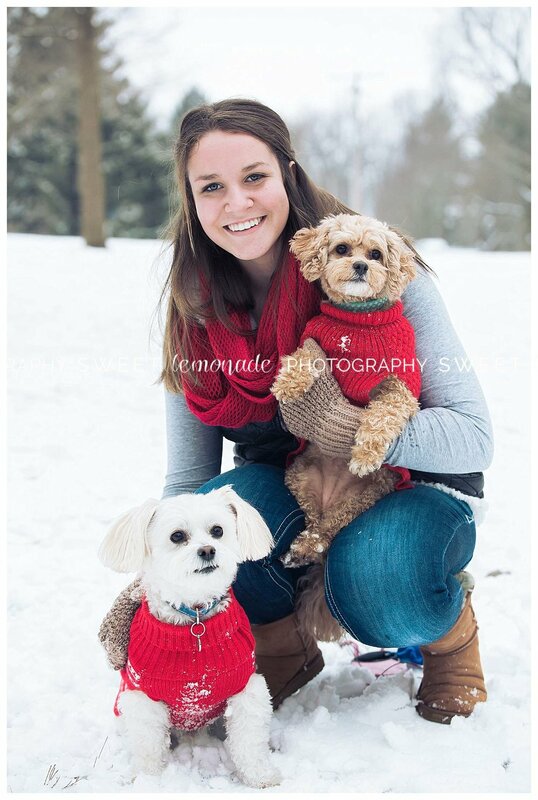 Abby also brought her two dogs and even had them dressed in red sweaters. So cute! All right, seeing these pics has me excited to shoot in the snow again. If we get another round of snow, who wants to do a mini session? Shoot me a message! Heather is the owner of Sweet Lemonade Photography and co-owner of Sweet Darling Weddings located in central Illinois (Mahomet). Life gave her a bunch of lemons (you can read a little more here on her personal blog Sweet Lemonade Life) and by keeping her focus on God, finding the positive in each day, and surrounding herself with supporting, loving and encouraging people she has turned those lemons into the sweetest lemonade. Her personal blog blog has been created to share her heart, her adventures and find ways to bless others. You can contact her at heather@sweetlemonadelife.com or heather@sweetlemonadephotography.com.